We’ve had 3/10″ of rain so far with the cold front. This is really going to help our grazing crops get going. One thing we need to think about now is weed control. UGA Extension Weed Scientist Dr. Stanley Culpepper says we need to get our weed control done by Christmas. Once we get to February, it’ll be too late to manage ryegrass and wild raddish with herbicides. 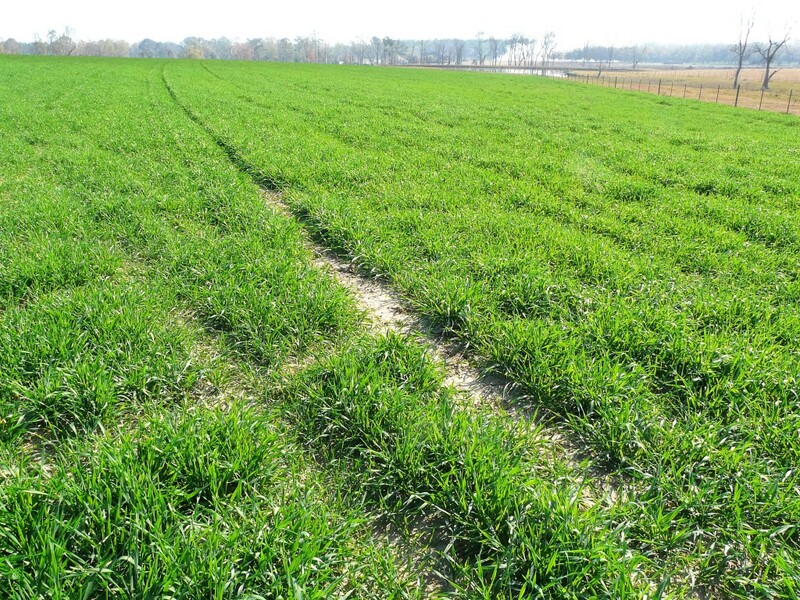 We look at weed control a little different between small grain production and grazing. Use of Harmony for broadleafs has a large window for safe application, but do not apply 2,4-D to small grain that is not fully tillered. Also, do not apply 2,4-D after small grain is jointing. 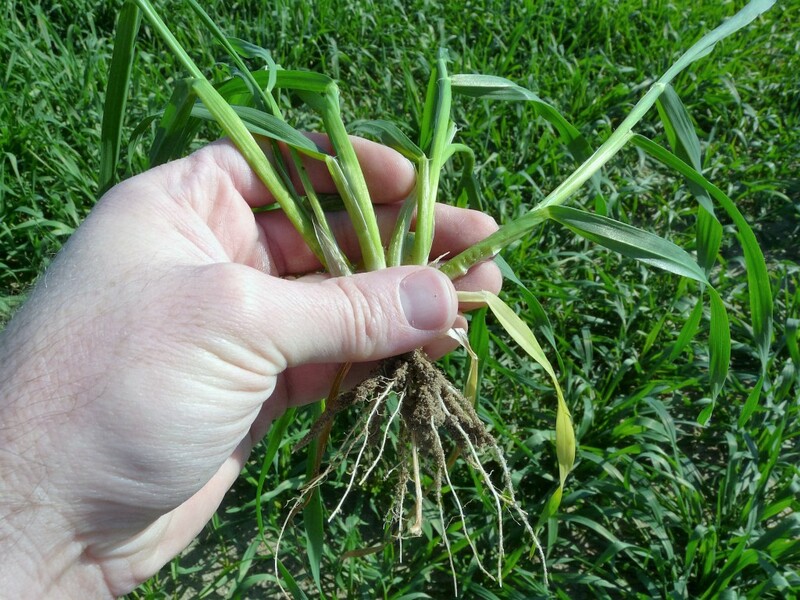 If you have early emerging small grain with weeds, the first program is your only option. 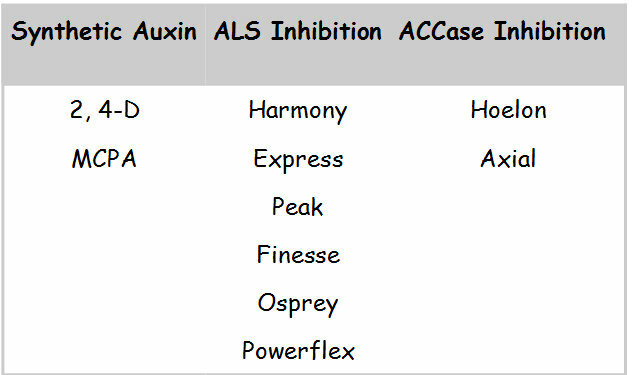 If you have later emergence, and few emerged weeds, you can go with the second program. Keep in mind, we need to be above 50 degrees when treating. The sooner you apply before cold weather the better. What is full tiller? 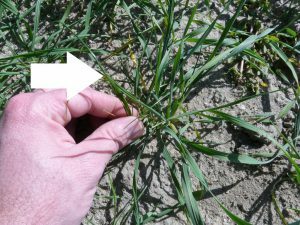 Following emergence and the spike stage, small grain crops begin to tiller. These are essentially stems that will produce a grain head in the future. When we have 5 or 6 tillers on a plant, it is considered full tiller. Depending on growing degree days, it will generally take between 20 and 35 days to reach full tiller. 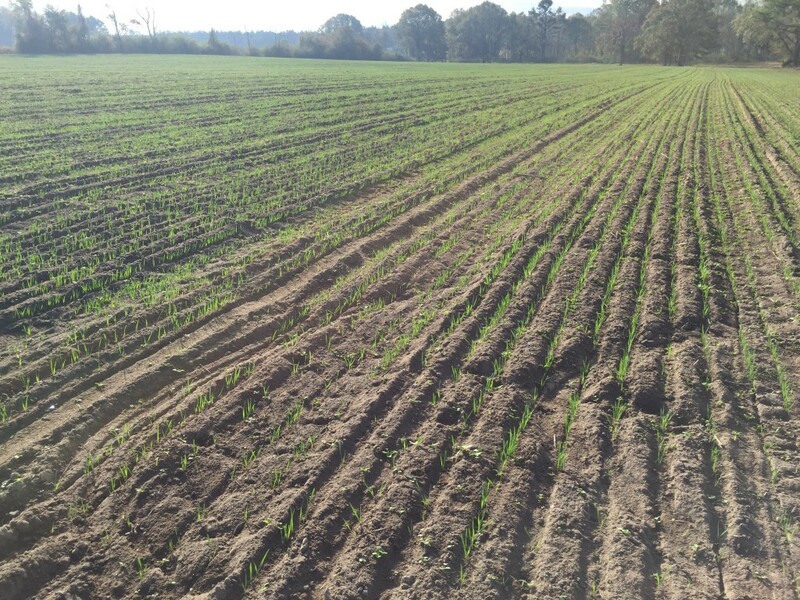 With the same herbicides, we don’t want to treat once crop enters the jointing stage. Just before jointing, the stems will elongate. At the base of the stem, you will feel a swelling of the stem (almost like a bee bee inside the stem) which is the first node or joint. The joint is the growing point. The plants have now moved into the reproductive growth stages. Posted in Forage / Pasture, Small Grain, Weed Science. Bookmark the permalink.